Not if you’re in Doha, Qatar! If you were driving to work this morning along the Doha Expressway, you would have been on your own safari before you even got to work! 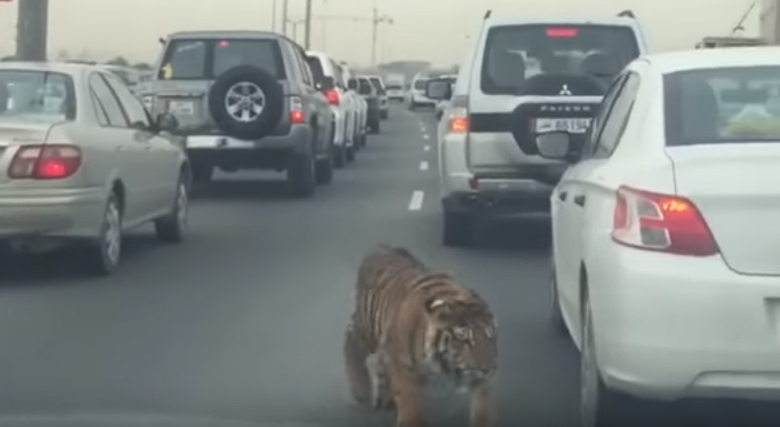 Footage below shows a tiger running through rush-hour traffic, to the amazement of morning commuters.